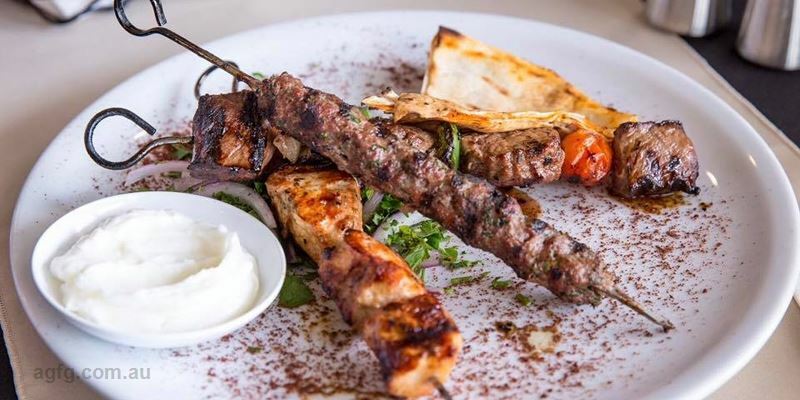 Shish Tawook: skewers of marinated chicken breast, served on a bed of parsley and onion with Chef’s special garlic dip. 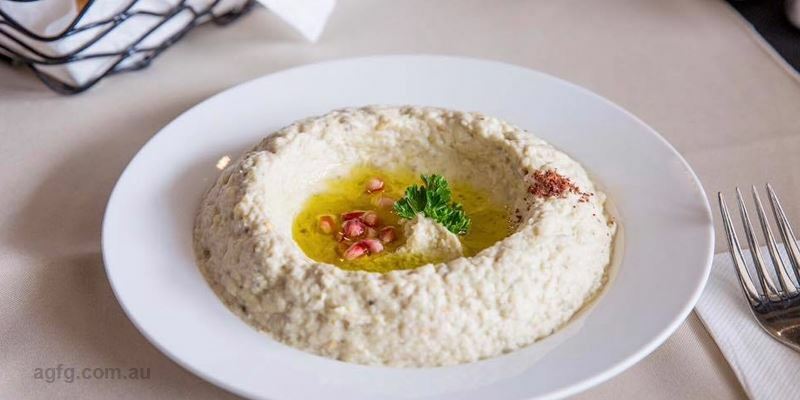 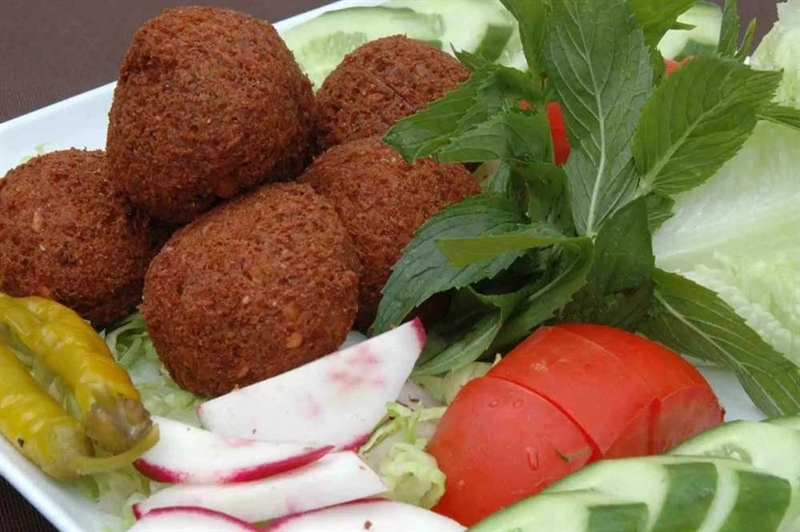 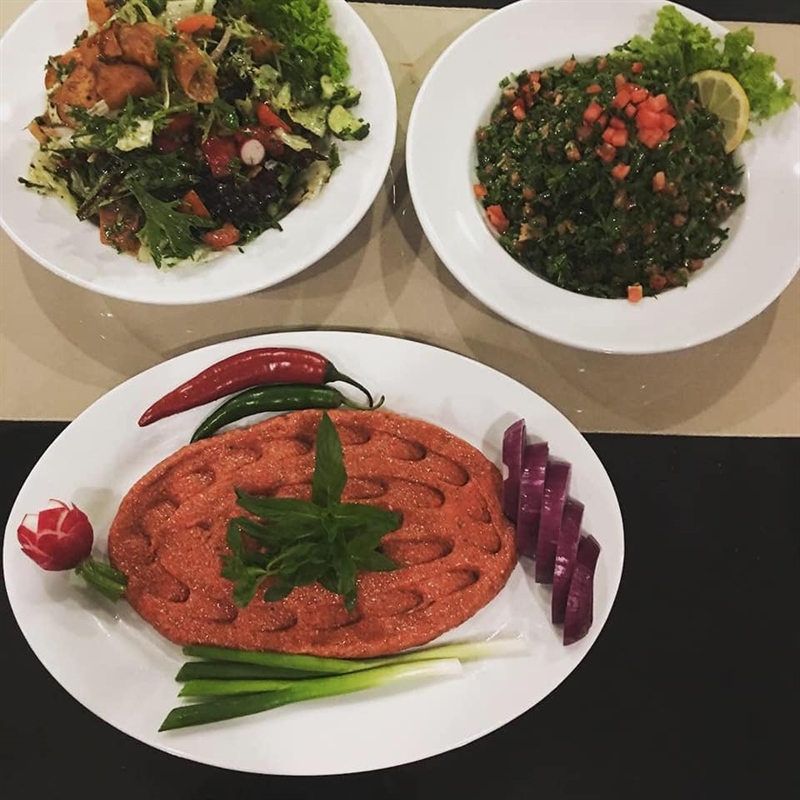 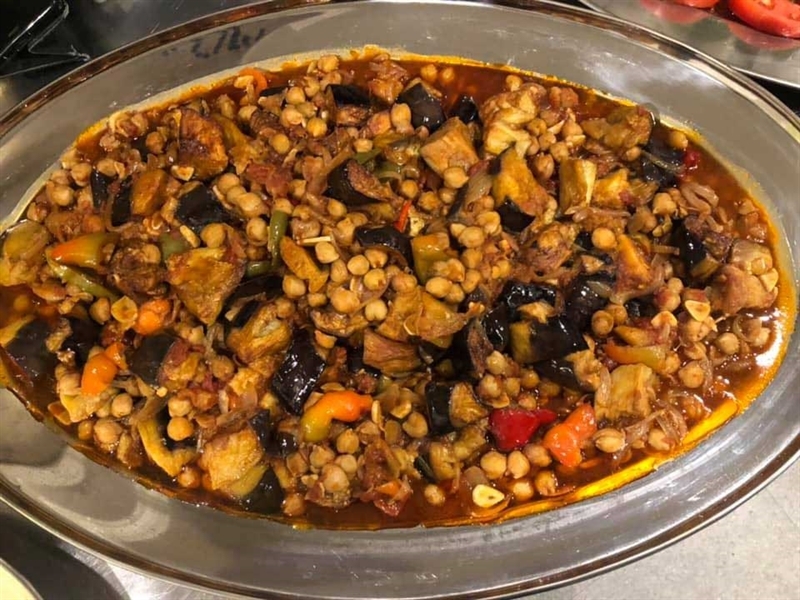 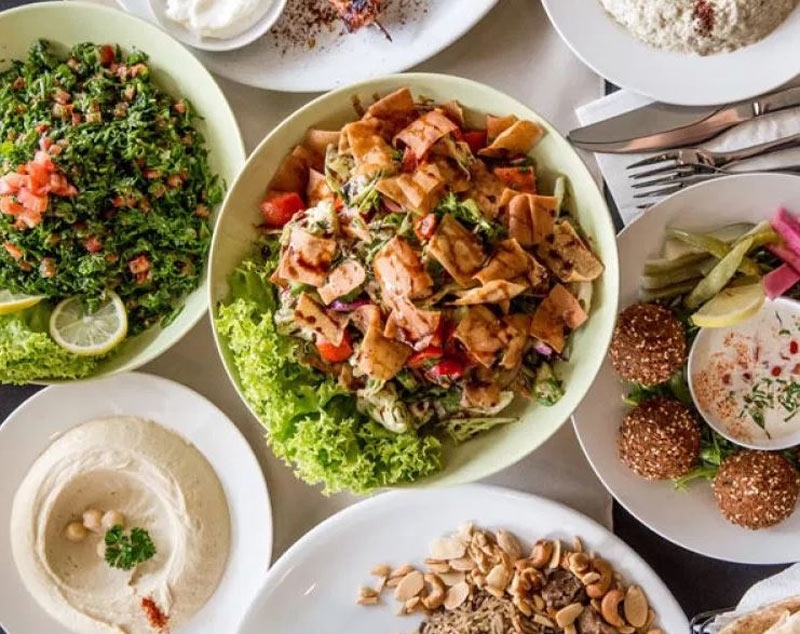 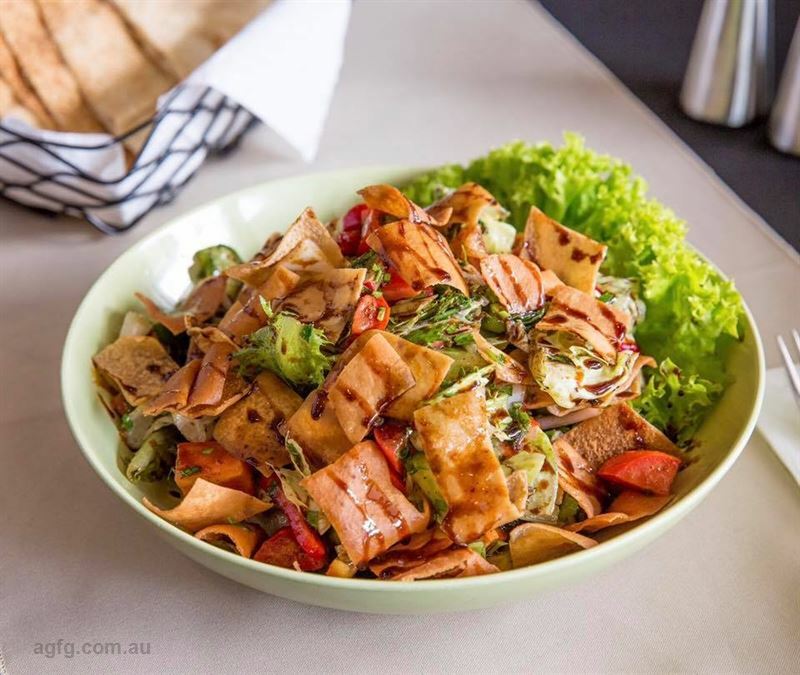 Sample the exotic flavours of the Middle East at Anater Lebanese Restaurant on Forest Road, alongside North Bexley locals. 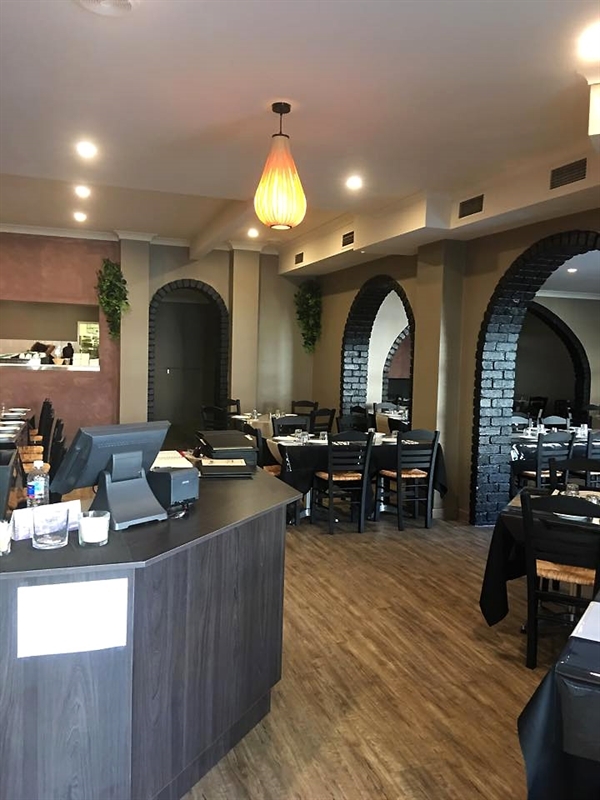 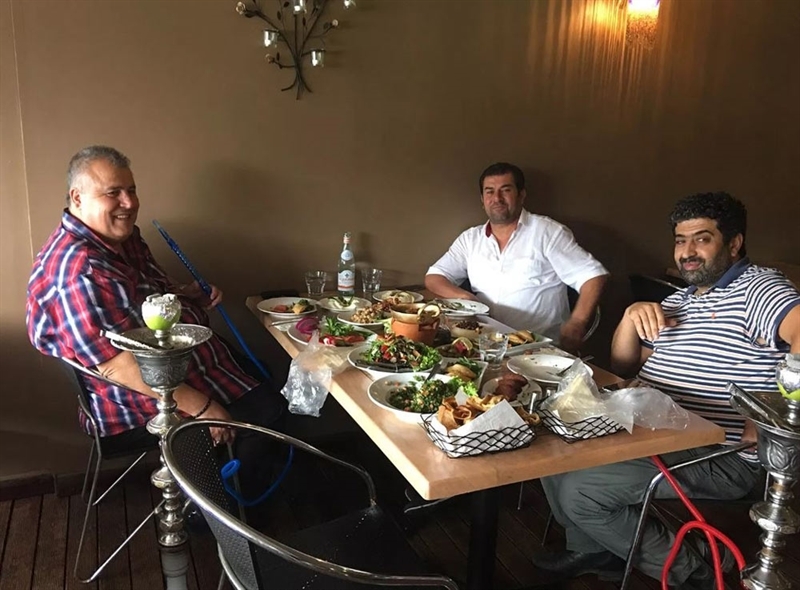 A palette of soft, earthy tones emanates a welcoming ambiance, where plush booth seating, wooden floors and ebony chairs complement trademark brick archways, making for a stylish space to enjoy authentic Lebanese fare with friends and family. 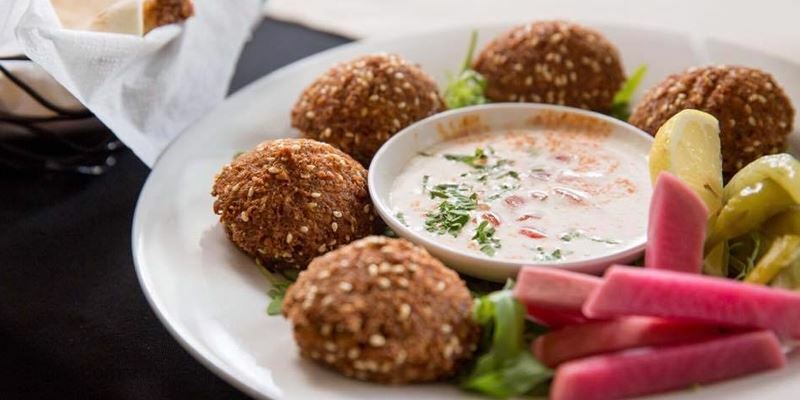 Upon settling in for an evening of fresh, tantalising cuisine, begin with share plates like lamb croquettes filled with minced meat, onion and golden pine nuts; before delving into something a little larger like char-grilled chicken pieces, marinated with the Chef’s special spice, served on a bed of parsley and onion, with garlic dip. 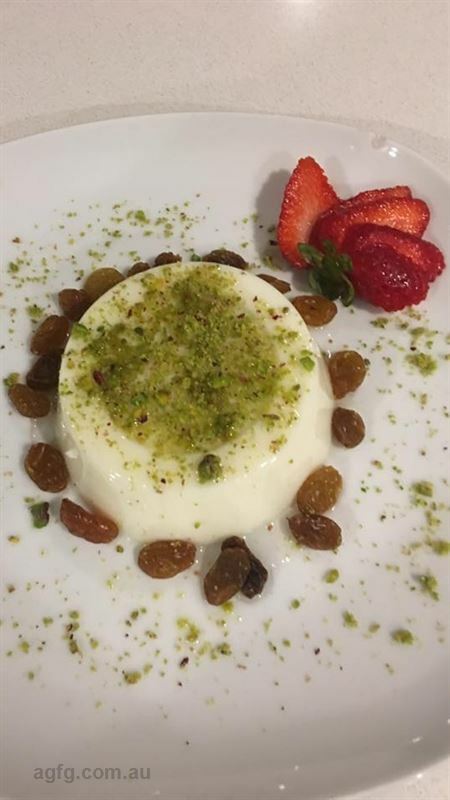 Be sure to save room for a dessert of milk pudding, topped with crushed nuts and syrup. 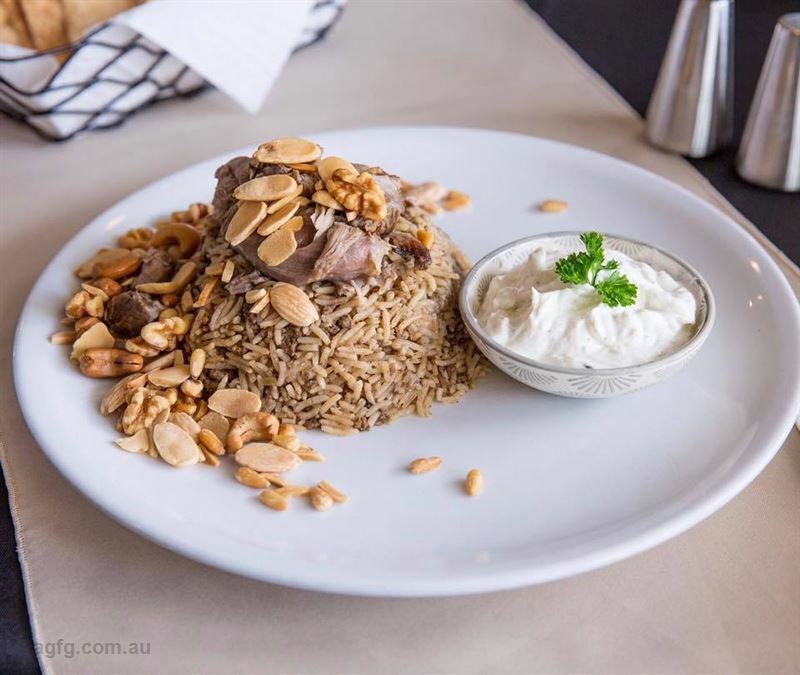 Have you tried our weekend banquet menu? 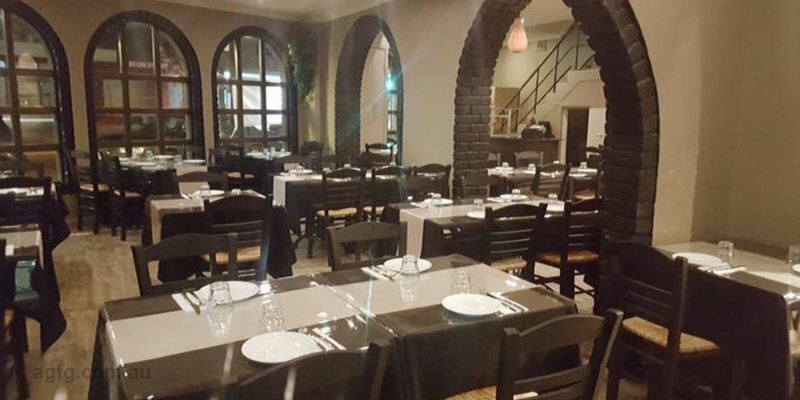 Available every Saturday, enjoy a rich selection of hot & cold mezza, mixed grill or ouzi, soft drinks and live entertainment. 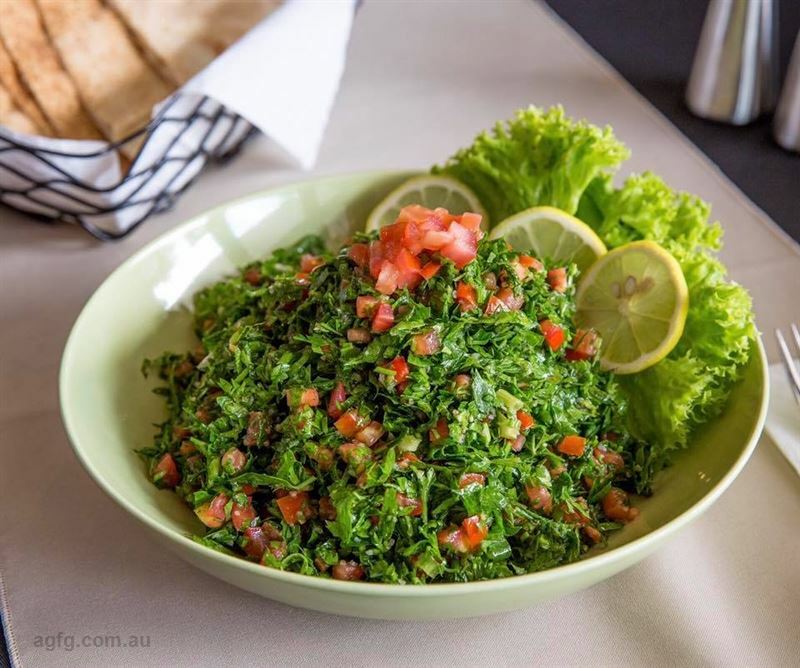 Call (02) 8084 8580 to book.